This study is the result of research which examined the effectiveness of guidance and counseling of Islamic solution focus brief therapy in order to improve self regulation of students procrastination in STAIS Majenang. Self-regulation scale questionnaires, procrastination scales, observation and documentation are used as the data collection instruments. This research was done in research mixed methods using quasi experimental method non equivalent pre test and post test two group design. The sample of the research are 35 STAIS Majenang students which are determined by using purposive sampling technique. Samples were divided into two groups, i.e 18 students for the experimental group and 17 students for the control group. Data analysis used T-test paired sample T-test to calculate the difference of pre test and post test in experiment and control group. While independent sample T-test is used for post test of experimental group and control group. The result of data analysis showed that the level of self regulation before treatment, the experimental group was on average score 62,18 and the control group was averaged 59,18. After the treatment, the self-regulation rate of the experimental group reached an average score of 96.88, a significant increase of 34.7. Unlike the control group that was not given treatment, the mean score after the post test only reached 59.59, meaning there was no significant increase or change between post test and pre test in the control group. The level of procrastination before treatment, the experimental group was on average score 74.88, the control group was averaged 78.35. After treatment, the experimental group achieved an average score of 58.71, a significant decrease of 15.97 on average. Unlike the control group that was not given treatment, the average score was still 77.94, which means no significant change in condition between post test and pre test in the control group. Based on self regulation hypothesis test in experimental group which used Mann Whitney Wilcoxon statistic test, the result was known that Asymp. Sig. (2-tailed) = 0,000 <0,05 and Z -3.623a. Thus Ho is rejected and H1 accepted, meaning there is a significant difference self-regulation score between pre test and post test in the experimental group. Similarly, in the case of procrastination, based on out put on the experimental group, it is known that Asymp. Sig. (2-tailed) = 0,000 <0.05 and Z -3.622a. Thus Ho is rejected and H1 accepted, meaning there is a significant difference between procrastination score pre test and post test in the experimental group. 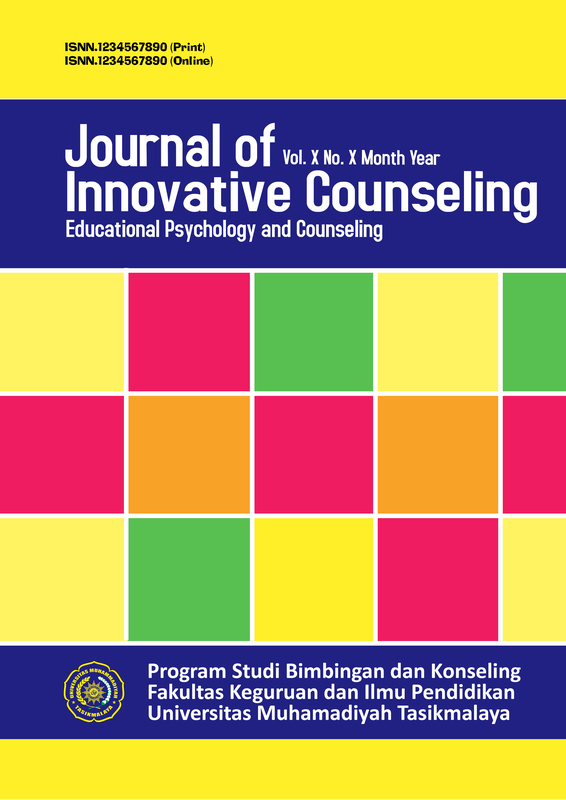 In other words, Islamic guidance and counseling solution focus brief therapy is effective in improving self-regulation of students procrastination in STAIS Majenang.